Thorneycroft "Amazon" 6 x 6 trucks/half-tracks: 36 brought in 1938 and used as artillery prime movers and converted into artillery tractors (with an armoured hood over the engine) at the Esteban de Luca Arsenal. A track, provided by the manufacturer, slipped over the two rear axles easily converts these vehicles into half-tracks. Yacaré Armoured Artillery Tractor, from 1938 eighty International Harvester commercial tractors were purchased by the Army and converted into armoured artillery tractors at the Esteban de Luca Arsenal with 5-3mm thick armour plating over the engine and cab. 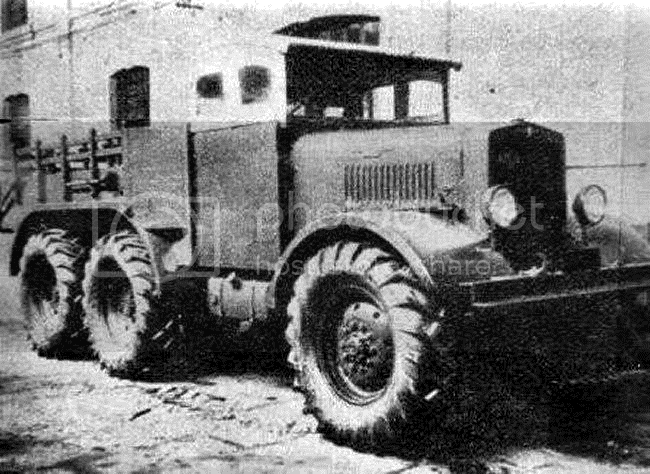 1939 HAFDASA 6 x 6 artillery prime mover, produced at the HAFDASA (Hispano Argentina Fabrica de Aumotobiles) plant in Cordoba from powered by a 150 HAFDASA diesel engine. 350 are to be built by 1942 to equip all Artillery units in the Army at Corps and Brigade level excluding the Mountain Brigade. ALCO Matador 4x4 artillery tractor,this is the British 4x4 truck and tractor and it can tow up to 6.5 tons and has a top speed of 36mph. It has an armoured body and is powered by a 95hp AEC diesel engine. 100 will be purchased in 1942. Austin Argentina Fabrica de Aumotobiles (AAFA) K3, a standard truck produced locally in both 6x2 and 4x2 variants. In 1942 the Army ordered 350 of each type. All will be flatbed lorries but other variants are planned. Auto Union Type 99: This German-developed 4x4 vehicle based on the running gear and chassis of the Beetle car is licence produced for the armed forces by Auto-Union Argentinas S.A. Total orders up to 1948 envision production of 350 vehicles for the Army, Air Force and Marines. Auto Union Transporter: This German-developed civil cargo/people carrying vehicle is licence produced for the armed forces by Auto-Union Argentinas S.A. Total orders up to 1948 envision production of 450 vehicles as ambulances, general purpose vehicles and for Guardia Civil units. HAFDASA Nandú: a 4x4 command car produced at the Esteban de Luca Arsenal. This sturdy vehicle is powered by a 76hp petrol engine manufactured by HAFDASA (Hispano Argentina Fabrica de Automobiles). 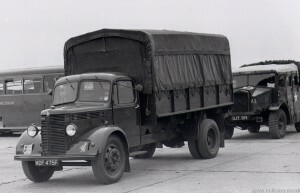 A pre-production batch of ten vehicles was ordered for the Army in 1945 and in 1946 245 production vehicles were ordered. The Nandú is the South American Ostrich. 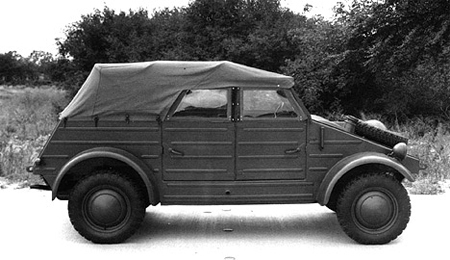 An amphibious version of the Auto Union Type 82 4x4 light vehicle and developed in 1942. 50 brought for the Infantería de Marina in 1948. A six-wheeled amphibious truck developed in Germany with a flat cargo deck in the rear. Can carry stores or men. 170 brought for the Infantería de Marina in 1948.